With just a couple of weeks left in the NBA regular season, more and more rookies are getting a chance to prove themselves with increased minutes as teams try to plan for the future. As a result, players like Miles Bridges, Frank Jackson and Mitchell Robinson had some big games this week, but it's the old familiar faces that grace the top of this week's NBA Rookie Power Rankings. After another jaw-dropping week, Hawks point guard Trae Young takes back the top spot, dethroning Cavs guard Collin Sexton, who had been No. 1 for two straight weeks. Luka Doncic also moved past Sexton, but couldn't quite edge out Young this time in a familiar battle. Though his production has still been great, Doncic is mired in a shooting slump and struggling with some lingering knee issues. Another week, another ice-cold game-winner from Trae Young ... ho hum. Young was brilliant on Tuesday, putting up 33 points and 12 assists in a win over the Pelicans. but one of the lasting images from his rookie season came on Saturday, when Young buried a full-strength 76ers squad with a buzzer-beating floater between Jimmy Butler and Joel Embiid, then hit the raucous Atlanta crowd with LeBron's signature celebration. This isn't the first week that Luka's basically averaged a 20-point triple-double and still been kept out of the top spot — that's just how good Young was in his two games. "He makes smart decisions, he scores, he gets his teammates involved," Nowitzki said. "He gets to the foul line — he's really smart there — he has a knack of getting fouled. I say it all year — for a 19-20 year old, his overall aura and game is really impressive." After holding down the No. 1 spot for two straight weeks, Sexton drops in the rankings — but that doesn't mean he's been bad. His shooting fell off a bit from his scorching hot streak, but it was still impressive at 51 percent from the field and 38 percent on 3-pointers in four Cleveland losses this week. 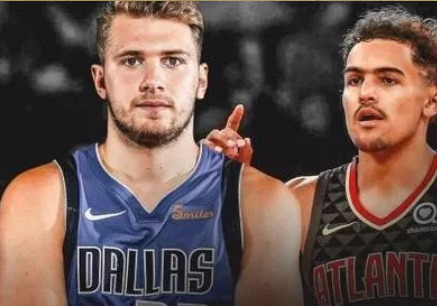 The question is: If Doncic fades toward the end of the season as the Mavs keep losing games, and Young finishes with a flurry we know he's capable of, can Young close the gap in the Rookie of the Year race?